Visceral Dance was founded just four years ago, in 2013, but they’ve already established a remarkable record for artistic imagination. It’s a record that’s been widely recognized as well, with both founding company member Paige Fraser and Choreography Fellow Danielle Agami receiving Princess Grace Fellowships in 2016. Fraser was also named as one of Dance Magazine‘s “25 to Watch” in 2017, as was fellow founding company member Caitlin Cucchiara a year earlier, and Visceral Dance itself received the same prestigious recognition the year before that. This Saturday, September 16 Visceral opens their Fall Engagement at the North Shore Center for the Performing Arts with a program that introduces Agami’s “Pick a Chair”, a new work set to a score by Glen Kotche. Also on the program are “Synapse” and “She Three” by Artistic Director Nick Pupillo, “Ruff Celts” by Marguerite Donlon, and Minor Threat by Mark Godden. The Company’s Fall Engagement will also be presented October 7 at The Harris Theater for Music and Dance in Chicago. dancermusic: Visceral has received a lot of attention in four short years. What do you think audiences will most enjoy from the upcoming fifth season? Petra Weith: Visceral has become known for its excellence in both artistry and technical ability. Established and emerging choreographers, international artists and dancers from our own community, all have contributed to our diverse repertoire. Audiences relate to Visceral so well because I believe we offer a vast spectrum of work to dive into and share with each performance. Our fifth year brings some of our most-loved works back to the stage, and offers several world premieres which will excite and inspire. dancermusic: Danielle Agami’s “Pick a Chair” sounds like an intriguing work. Can you tell us anything about it, or about the original score by Glen Kotche? Petra Weith: Pick a Chair is an exploration of the distractions and difficulties faced by artists to remain focused and dedicated to the creation of art in today’s world. Glenn Kotche’s work for this piece reflects perfectly the chaos, calm and intention of the dancers and choreography. 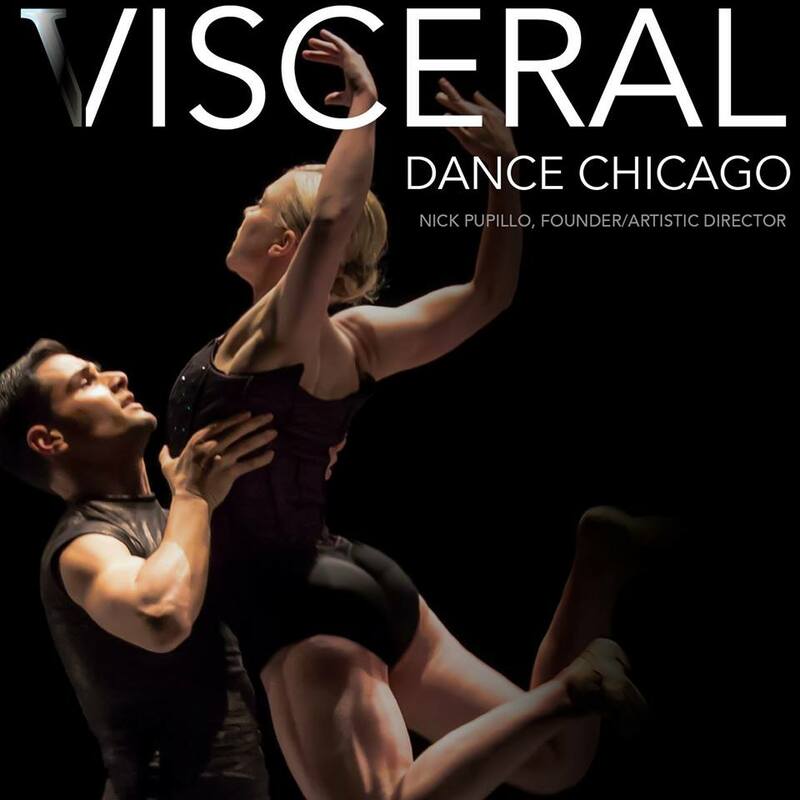 For more information about Visceral’s Fall Engagement, you could check out the Company’s site — visceraldance.com, or even better, read this excellent preview in LASplash from Debra Davy. Tickets for the Saturday, September 16 performance are available from The North Shore Center for the Performing Arts, which is a great venue to see them, and for their Saturday October 7 performance at the Harris, tickets are available from The Harris Theater for Music and Dance. Visceral is also performing on Saturday September 29 at Hope College. PHOTOS: (from top) • Visceral Dance Chicago in Danielle Agami’s “Pick a Chair”. Photo by Todd Rosenberg. • Visceral Dance Chicago’s Paige Fraser in Nick Pupillo’s “Synapse”. Photo by Todd Rosenberg.